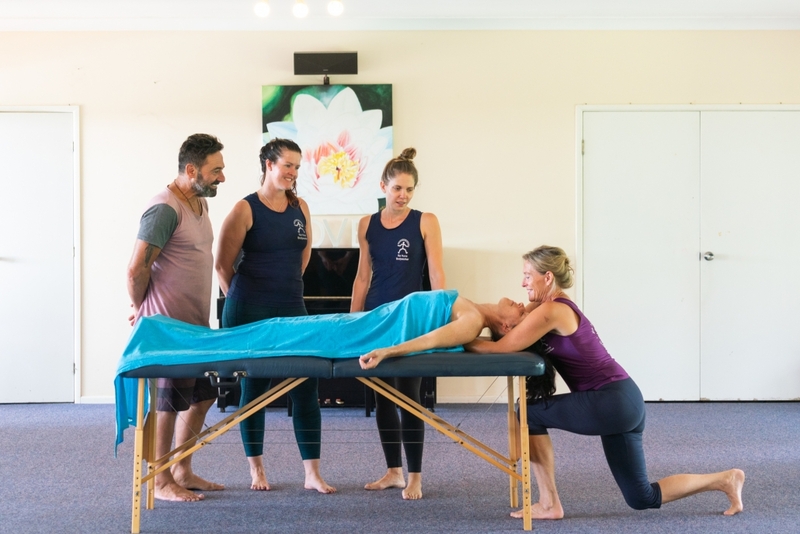 KaHuna massage is a flowing style of massage, providing a holistic approach to healing by balancing the body-mind in its physical, emotional and spiritual dimensions. 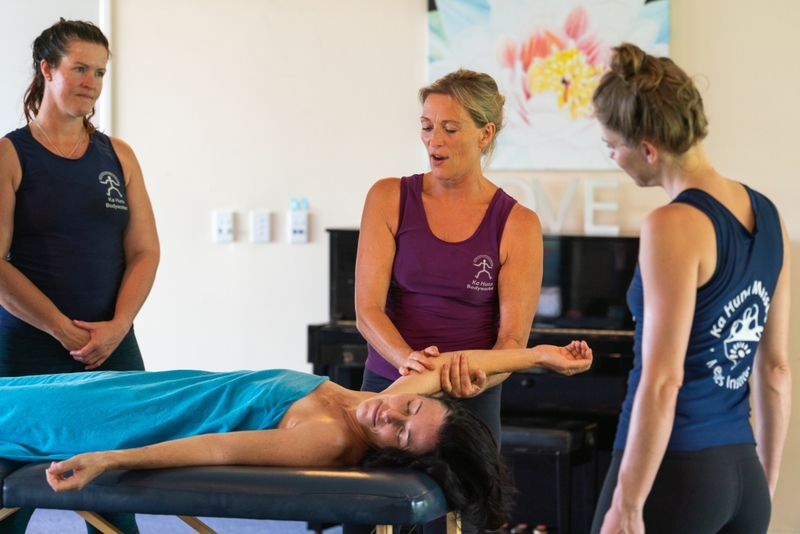 It is with deep respect for the Hawaiian culture that Mette is combining her dance and movement experience with this beautiful flowing style of massage. 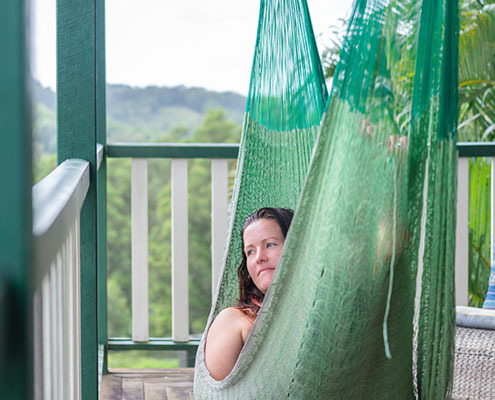 The philosophical and intellectual aspect of Mette’s training is inspired by her personal experience with the Danish ‘Folkehøjskole’ (‘Folk High School’) philosophy and Serge Kahili King’s interpretation of the Hawaiians outlook on life, through his seven Huna principles. Mette also holds an array of qualifications in the field of natural therapies and completed her teachers qualification at the College of Education in Denmark. Develop heart opening skills to potentially generate an extra income. We are open and available for any person who wishes to work for themselves, explore the body, the mind and the spirit and to obtain more balance, energy and love in life. Your physical body is the Temple, in which dwells your Soul, awaiting to be freely expressed in the joyful dance of life. At times we all questions the lifestyle we lead. 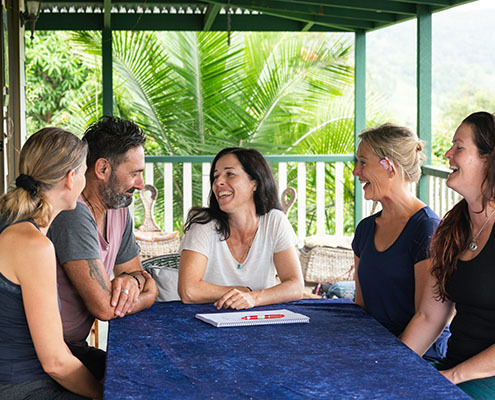 If you wish to find answers, learn and deal with stress and relationship problems, learn to understand and control your emotions and interact with others – KaHuna Bodywork is for you. At the same time you will become more physically fit and energized. 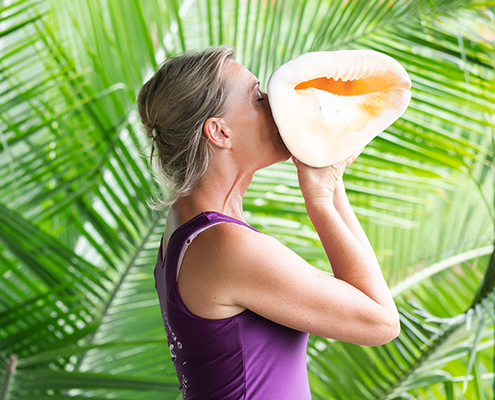 The essence of KaHuna Bodywork and philosophy dates back thousands of years to the days of myth and magic. Today much of the myth have vanished, but the magic definitely endures through healing hands. Our human body is designed to reflect perfect unity of body mind and soul. Consequently disharmony in one area mirrors disharmony in other areas. Long stores of anger, resentment, fear and other negative feelings may manifest as muscular and skeletal soreness, tumors or illnesses. 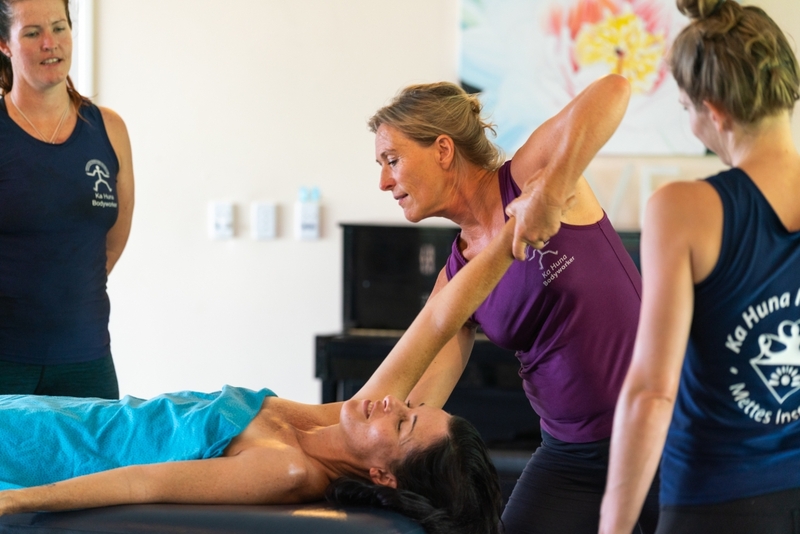 These states can successfully be released using KaHuna Bodywork as part of the healing. The bodyworker is trained to support the client in their self healing process. As “all power comes from within”, it will be demonstrated how healing takes place for both the giver and the receiver. The joy of life takes over as the mind and body are set free. Massage is probably the oldest and most simple of all treatments. Massage has been known and used for thousands of years and massage is still one of the most beneficial ways to keeping the body free from stress. In sports, psychotherapy, and various natural therapeutic methods massage is used as a very efficient way to relieving pain and repairing injuries. 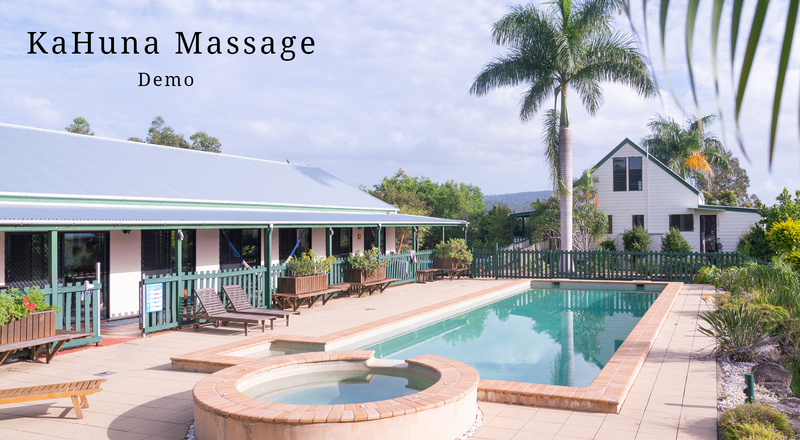 ‘The most Unique, Fantastic and Amazing massage you have ever received’. Our mind has the power to create the life we wish for ourselves. The beach, sand and the lush green grass massage your feet and you feel the earth. The fresh, salty air cleanses your lungs and you breathe life. The flames of the fire draw your eyes and you find your inner balance with connection and clear thoughts. The ocean water mirrors a new person with a sparkling, clear reflection – you! For your convenience we have created a small movie sample of this beautiful style of massage characterized by its soothing flow. 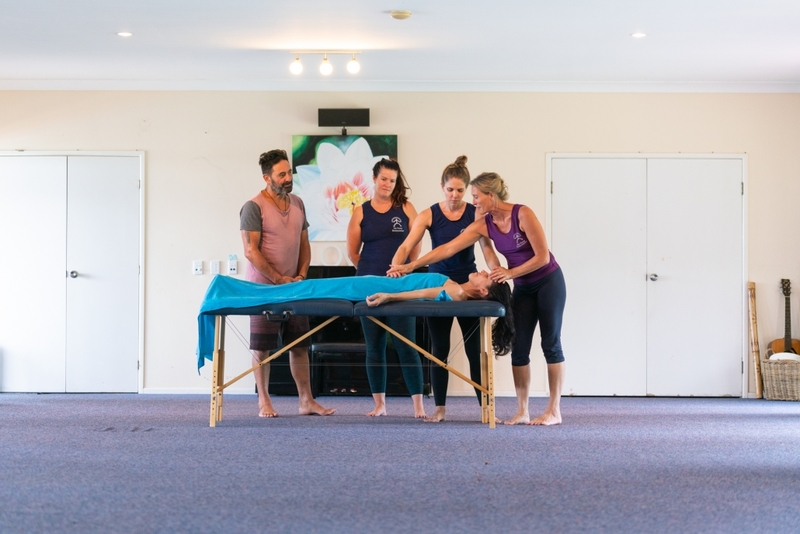 Our training is very practical with lots of hands-on time and with focus also on the emotional and spiritual aspect of massage. 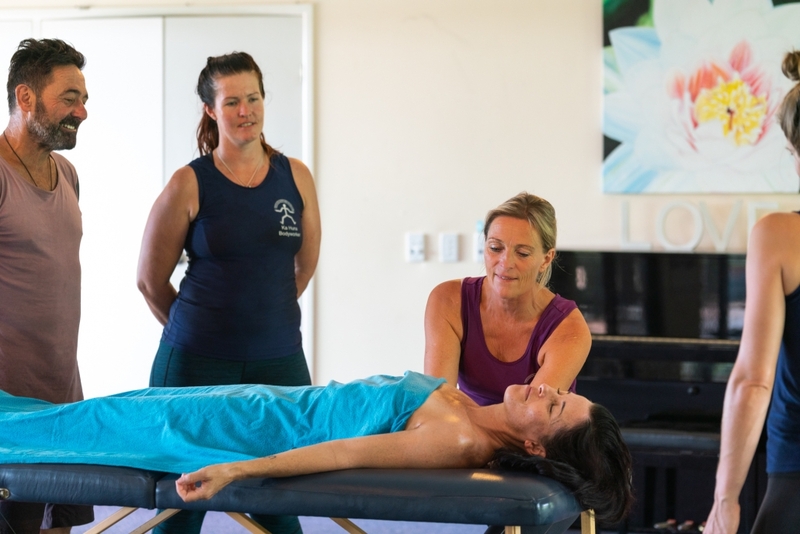 Having offered training courses in Australia since 1994, Mette’s Institute is now represented by more than three thousand therapists around the country. 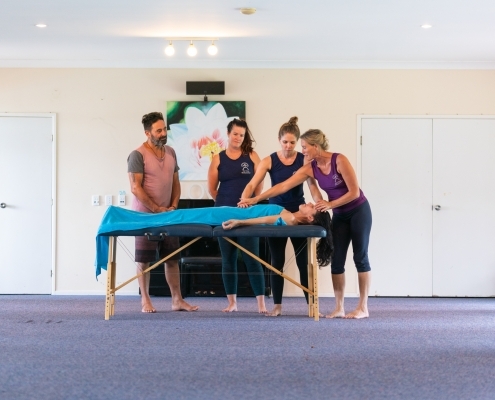 Should you consider embarking on a career in natural therapies, or furthering your already acquired skills then you will find our training very affordable and holistic in its approach. 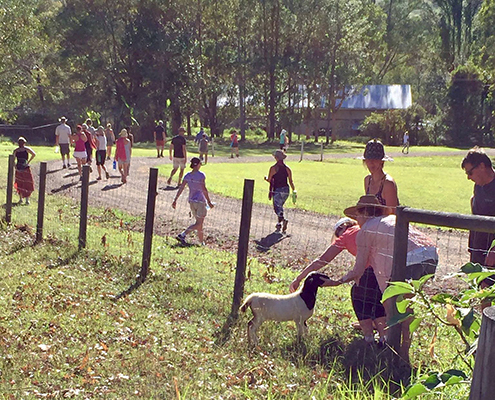 We look forward to welcoming you to High Spirits Retreat soon. Ho’oponopono meditation … helps you make your personal relationships more healthy and rewarding. A rite of page is a ceremony and marks the transition from one phase of life to another. It can refer to any of life’s transitions (births and beginnings, initiations, partnering, and endings or death). There are many passages in our lives if we choose to mark and celebrate them. I like to extend that definition to include rituals and ceremonies that help adults transition to new life roles along the path of adulthood and elderhood. These rite of passage experiences can help us to live more fully and with a stronger sense of personal responsibility for all aspects of our lives. Hopefully, this expansion of personal responsibility will then be passed on to the larger world, of which we are a part. 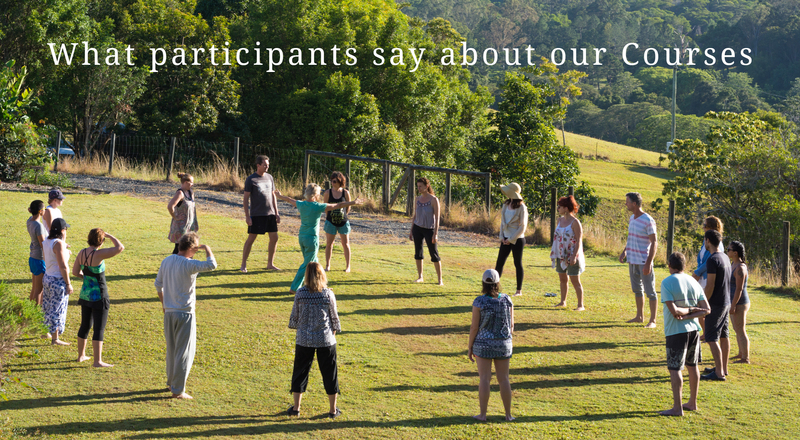 If we create and support participation with intention in a rite of passage, ritual or ceremony, the experience provides a space for the participants to be connected and have a sense of tribe, family or community. Celebrating milestones is an important part of the human experience, from birthday parties to acknowledging years of service for work. The KaHuna massage provide an opportunity to go through transition in life then help the transformation that take place for the individual to suit their need , mostly we aim for ease and grace. 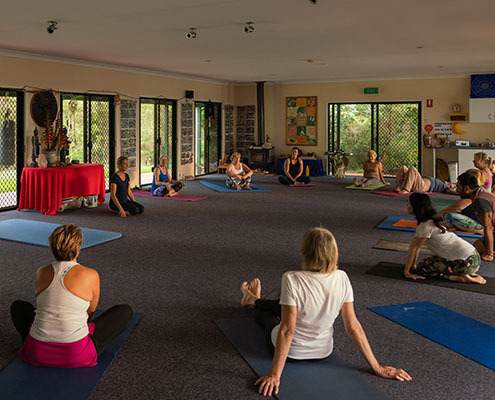 This 5 ½ day training course focuses on deepening the understanding of the connection between body, mind and spirit. 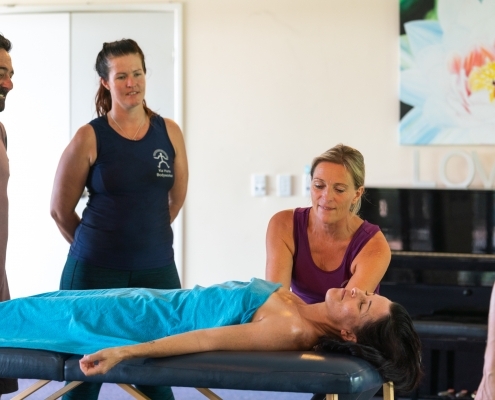 It prepares the practitioner to deal professionally with clients emotional releases which may occur during massages. This course also offers an opportunity for goal setting and for gaining clarity on a personal level. Discover your full potential as a human being and as a bodyworker. This 5 day training course is focusing on the integration of previous level. It is offering an understanding of the relationship between our state of mind and the four elements, earth, water, fire and air. At this level guest clients are invited in order to create an open and safe dialogue around the emotional and spiritual effects of Kahuna massage. You will receive a certificate on completion of level 5. 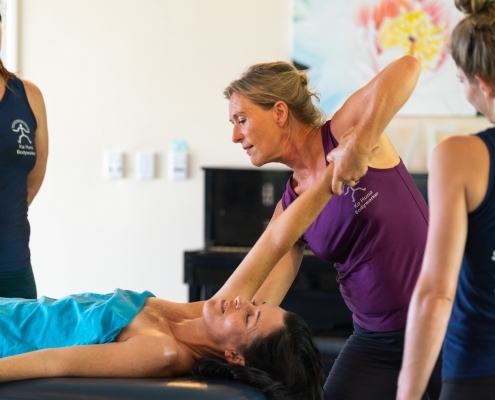 Improve on your skills as a bodyworker, gain new inspiration and correction of your style. 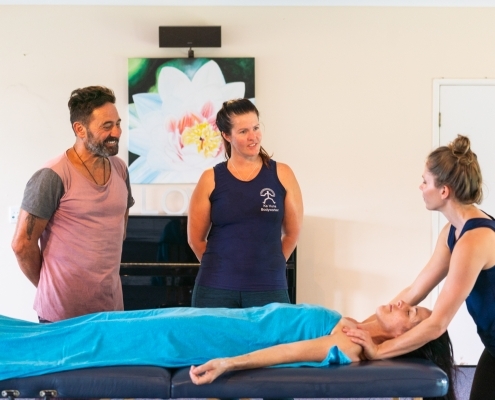 This 6 day training course is focusing on voice healing, deep bone & belly massage. You will open up to yet again another dimension of training. Minimum of one year experience is required. Deep meditations and lots of surprises. You will receive a certificate on completion of level 6. This 6 day training course was born in a dream in 1999 and finally manifested after all these years. 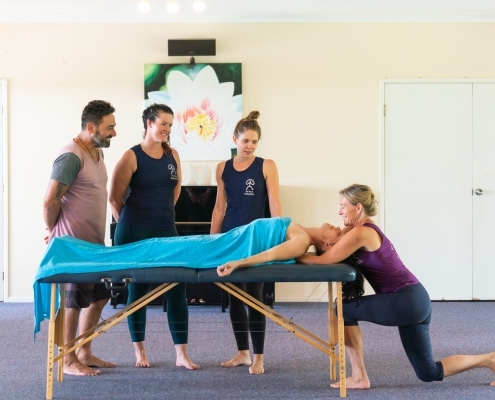 Together with other Bodyworkers (Kahuna level 6’s) you will practice and experience flying, yoga, dance, rituals, cleansing, meditations, chanting, love & laughter. Including some new elemental tricks and tools. Cleanse on a physical level with bodywork, yoga, flying, nature, sauna’s, swims, wind, water, earth, food and breath. You will receive a certificate on completion of level 7. 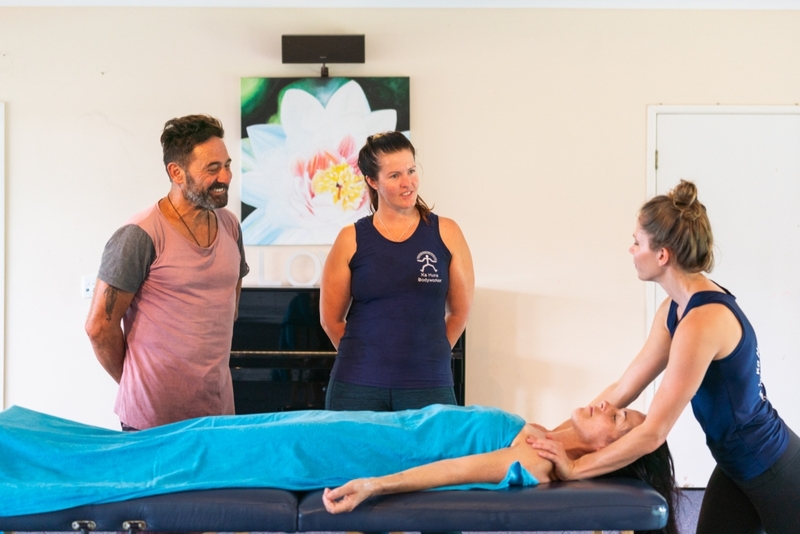 Our KaHuna massage training is accredited by the ‘International Institute for Complementary Therapists’ giving students access to very affordable professional insurance. 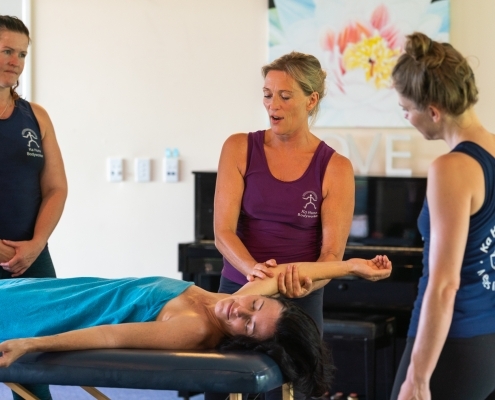 Interested in one of our KaHuna Massage courses? Get in touch with us!